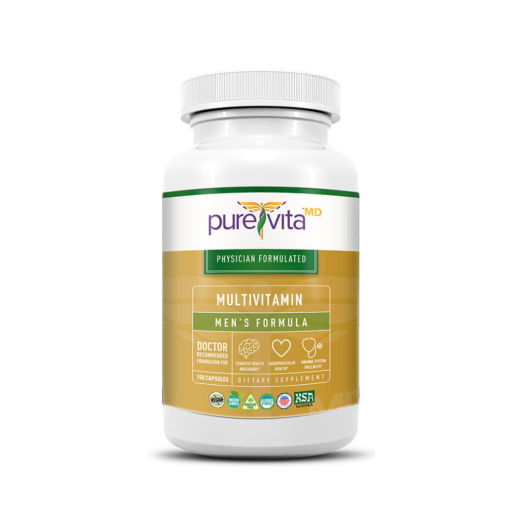 PureVitaMD™ multivitamins are provided in women’s and men’s formulas to address unique metabolic and hormonal goals for women and men. Provide a solid nutritional foundation for your patients with a multi you can trust for your own health! Read our label. You’ll notice none of the “junk ingredients” found in other multivitamins including: magnesium stearate, silica dioxide, and titanium oxide. Even our “flow agent” qualifies as a nutritional ingredient: shialjit, an adaptogenic multi-mineral.